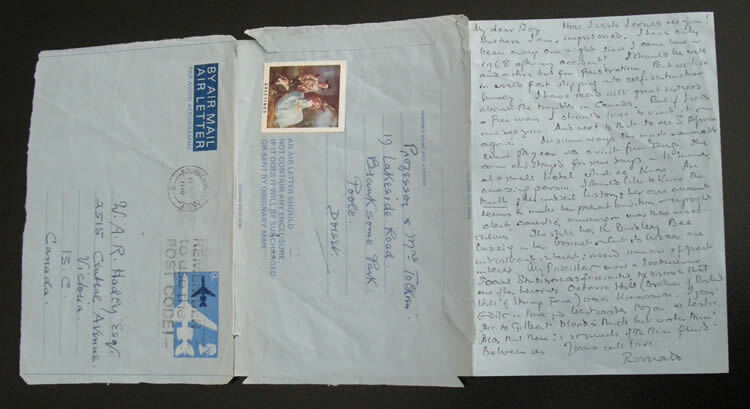 Christmas airmail letter from J.R.R. 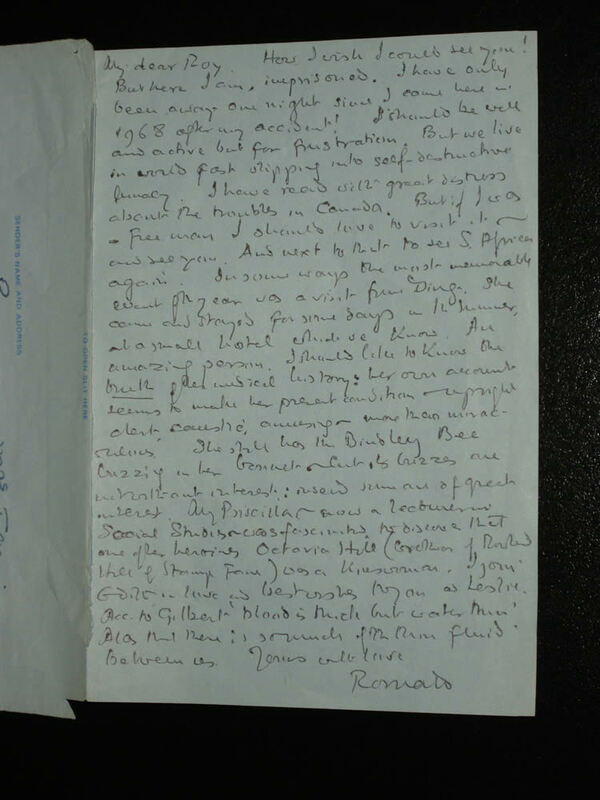 'Ronald' Tolkien and Edith Tolkien to W.A.R. Hadley, together with photograph of Wilfred Tolkien, Tom Hadley and five others. 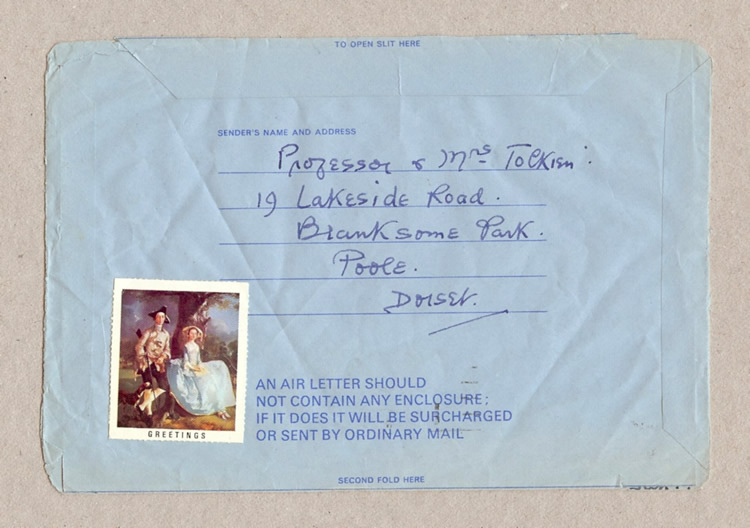 J.R.R Tolkien Airmail Family letter of 14 December 1970. 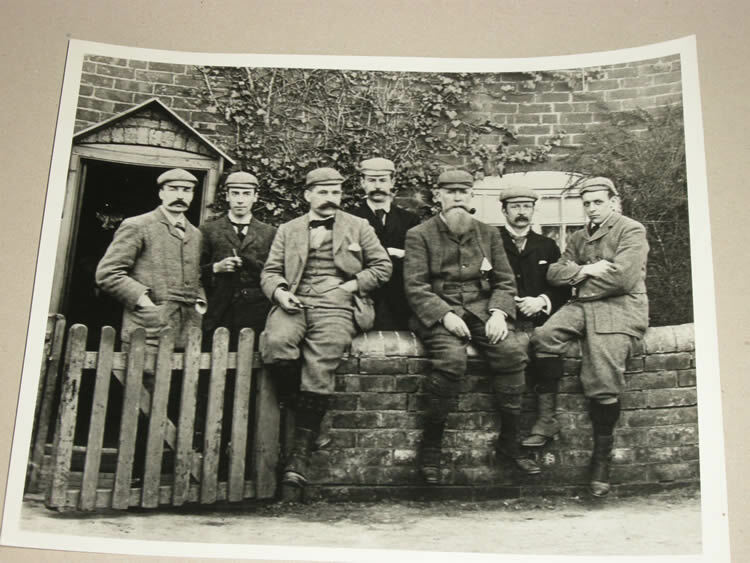 Photograph of Wilfred Tolkien, Tom Hadley and five others. J.R.R. 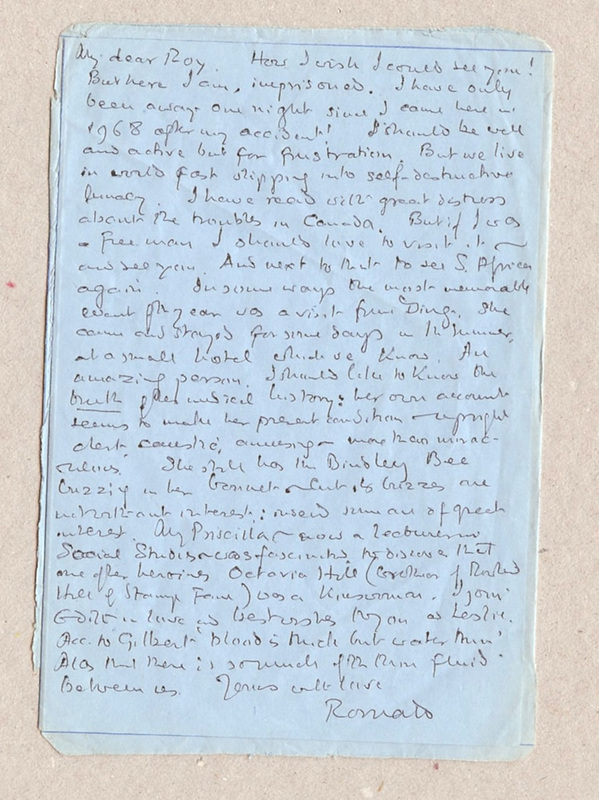 Tolkien's father, called Arthur Tolkien, had a sister called Florence Tolkien, who married about March 1888 to Tom Hadley, a solicitor, born King's Norton, Worcestershire. Florence Tolkien and Tom Hadley had one son, Wilfred Arthur R. 'Roy' Hadley (1889 - 1981). Roy Hadley therefore counted his mother's sibilbings amongst his aunts and uncles and their children (including J.R.R. Tolkien and H.A.R. Tolkien) amongst his first cousins. 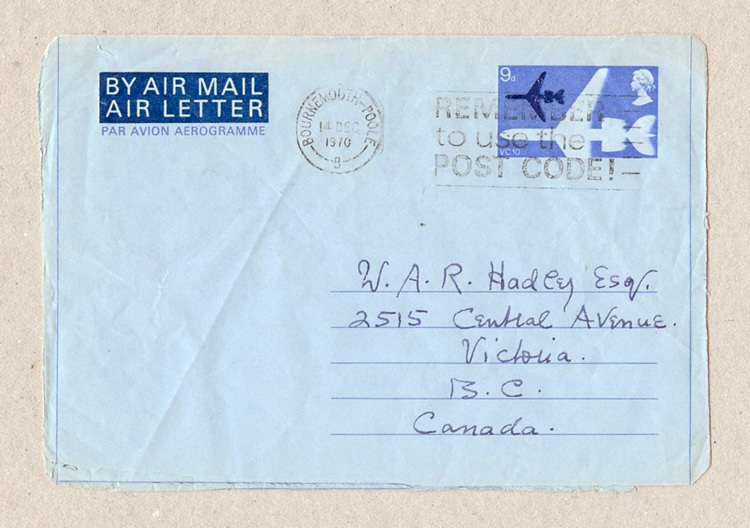 Roy Hadley immigrated to Canada in 1913 settling in Victoria, BC. He married Leslie Martin Warnock in Oak Bay, BC 11 January 1926. 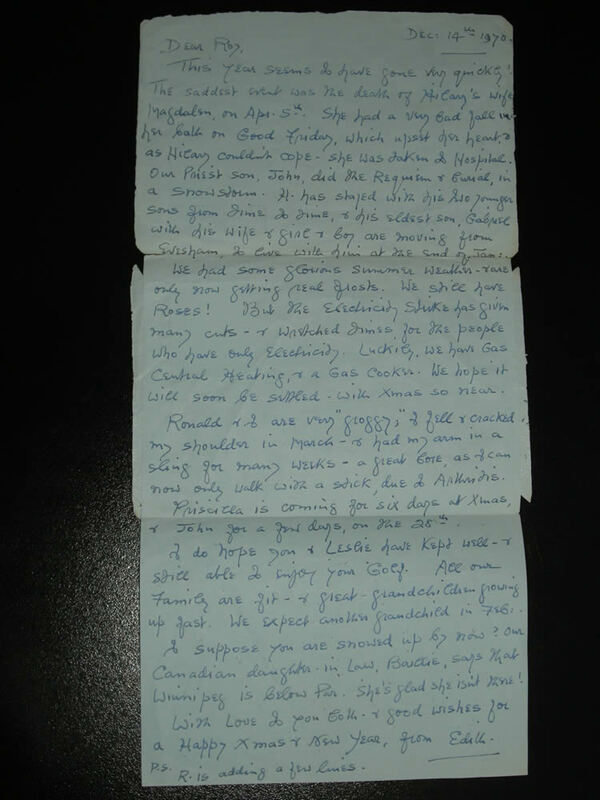 Over the years Roy and Leslie maintained periodic correspondence with J.R.R. and Edith Tolkien and presumably other Tolkien family members. This letter comes together with a photograph (circa 1880's ?) 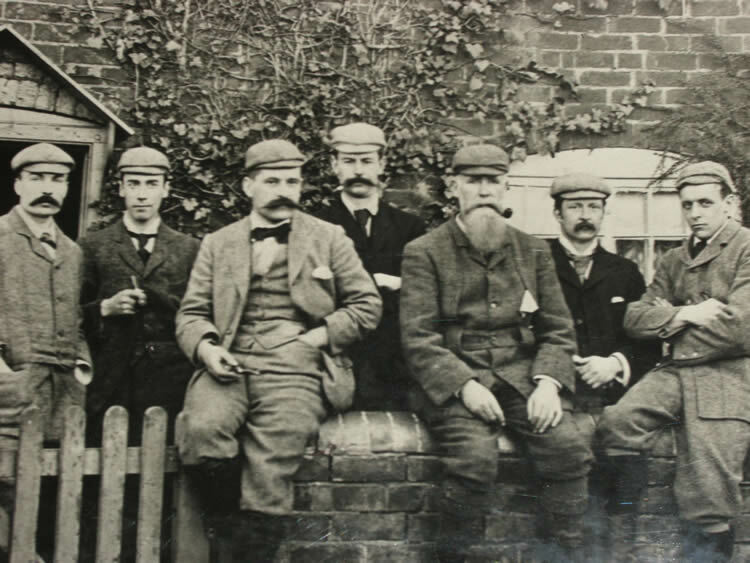 includes brothers-in-law Wilfred Tolkien (second from left), Tom Hadley (extreme right) and five others. Wilfred Tolkien was the brother of J.R.R. Tolkien's father. A wonderful copy that will be admired by any Tolkien fan.